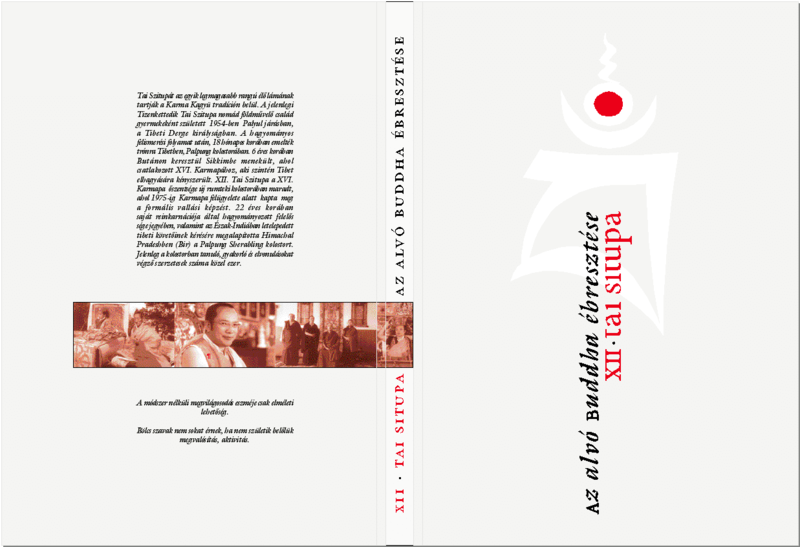 SI-LA-GI is currently (Q3 2010) involved in the publication of a book called “Awakening the sleeping Buddha” (Alvó buddha ébresztése) by the great Tibetan Kagyü Master XII. Tai Situpa and translated to Hungarian by Tamara Varga. This will be a limited edition of 300 units. The book will be ready for the visit of His Holiness Dalai Lama‘s visit to Budapest (Hungary) from Sept 17th to 21st , 2010 and published by KA TEN O SAL LING (Karmapa’s new center in Hungary). SI-LA-GI will give – as a present to each buyer of the book – one of the 300 original ink calligraphies that he just realized. Each calligraphy is unique, signed, and sealed. Practicing giving, being less selfish and inspiring people to do a same.